The sunrise sunset feature means that when you turn on the sunrise sunset function of CareUEyes, when the time is sunrise, CareUEyes uses the color temperature and brightness under sunrise. When the time is sunset, CareUEyes uses the color temperature and brightness under sunset, all this is done automatically by CareUEyes. 2.Does the sunrise sunset feature useful for my health? 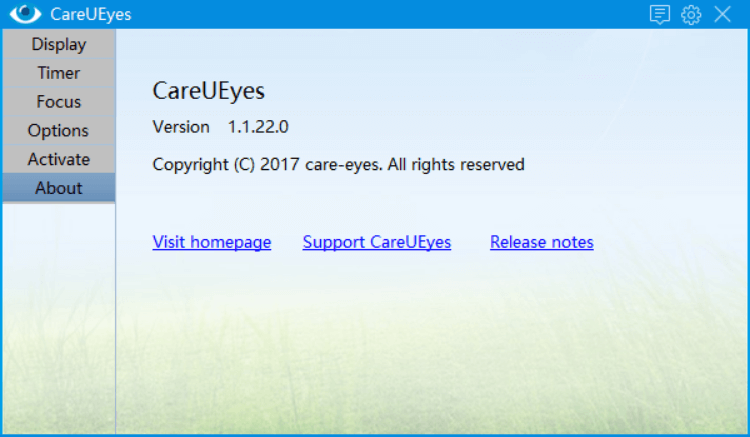 CareUEyes’ sunset and sunrise features are more suitable for those who work in front of the computer during the day and night. Usually, there is sunlight during the day. Our monitors are also adapted to the current environment. High color temperature and high brightness settings are used. At night, we use low color temperature, low brightness setting, which can reduce the blue light of the display (blue light will inhibit the secretion of melanin, but melanin is helpful for sleep), which helps us get better sleep at night and protect us eye. 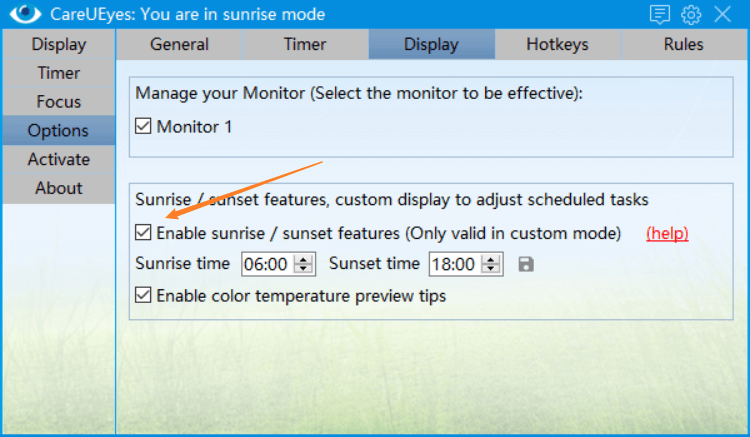 (4) Set the color temperature and brightness of sunrise and sunset in the custom mode.